Direct from a smash-hit WEST END season and international tour. 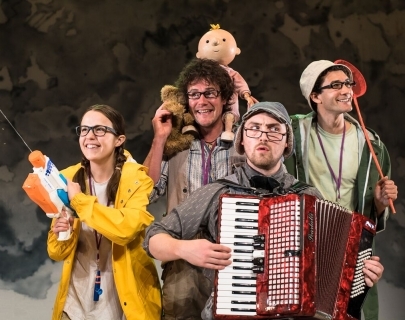 Michael Rosen’s award-winning book We’re Going on a Bear Hunt is brought vividly and noisily to the stage in director Sally Cookson’s fun-filled adaptation set to Benji Bower’s versatile lively score. Please note all children must be accompanied by an adult. Due to room capacity all children and adult places need to be booked in advance. This event is general admission and audience members will be able to choose their seats on the day.